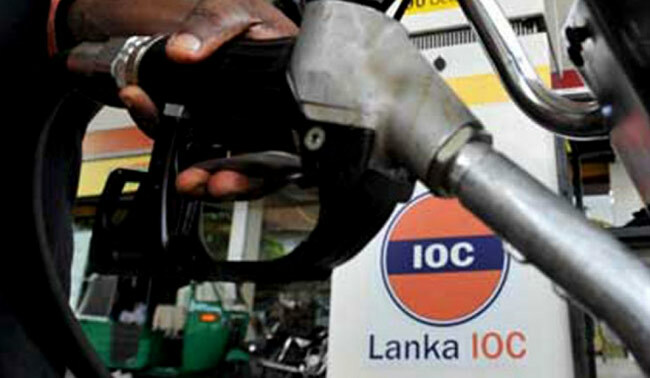 Lanka IOC has also revised fuel prices with effect from midnight yesterday (15) in line with the reduction of CPC fuel prices. subsidiary of Indian Oil Corp, has reduced the price of Auto Diesel by Rs 7 per litre. Meanwhile the prices of Octane 92 Petrol, Octane 95 Petrol and Super Diesel have all been reduced by Rs 5 per litre. Minister Gamini Lokuge had announced that the fuel prices of the Ceylon Petroleum Corporation (CPC) will be reduced with effect from midnight yesterday (15). He stated that the prices of Octane 92 Petrol, Octane 95 Petrol, Auto Diesel and Super Diesel will be reduced by Rs 5 per litre by the CPC. During his speech in Parliament yesterday, Prime Minister Mahinda Rajapaksa had declared that the government will be reducing the fuel prices to provide much-needed relief to the masses. The government had also reduced the prices of Octane 92 Petrol and Auto Diesel on November 01.